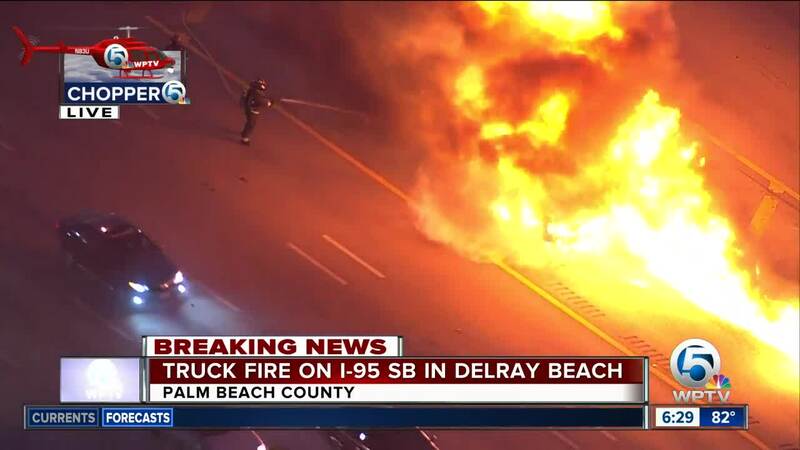 A pickup truck hauling a trailer was fully engulfed by flames Friday morning on Interstate 95 southbound in Delray Beach. At 6:30 a.m., Chopper 5 spotted a huge fireball with crews at the scene actively working to douse the flames near the Atlantic Avenue exit. It's unclear if anyone was hurt. One person could be seen outside the vehicle while the truck was burning. All lanes are back open after earlier closures.